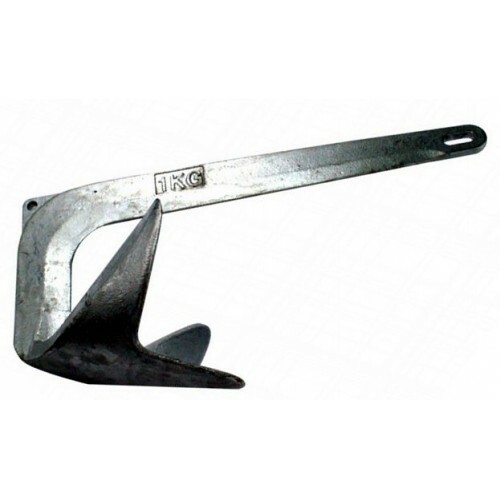 3.5kg Claw Anchor. OK on smaller boats. Cheap but a bit nasty. Not big fans of these to be honest. It is hard to say any of the clones are as good as the orgional Bruce anchor. If you want one of this style for a bigger vessel going with a Manson Ray is the smartest choice. Contary to common myth these aren't a copy of anchors uses on big rigs. Bruce made more than one design and continue to make anchors for the rigs but sadly not these recreational versions. * this is a guide only as there are many vairiables. If in doubt just ask, we're happy to help.